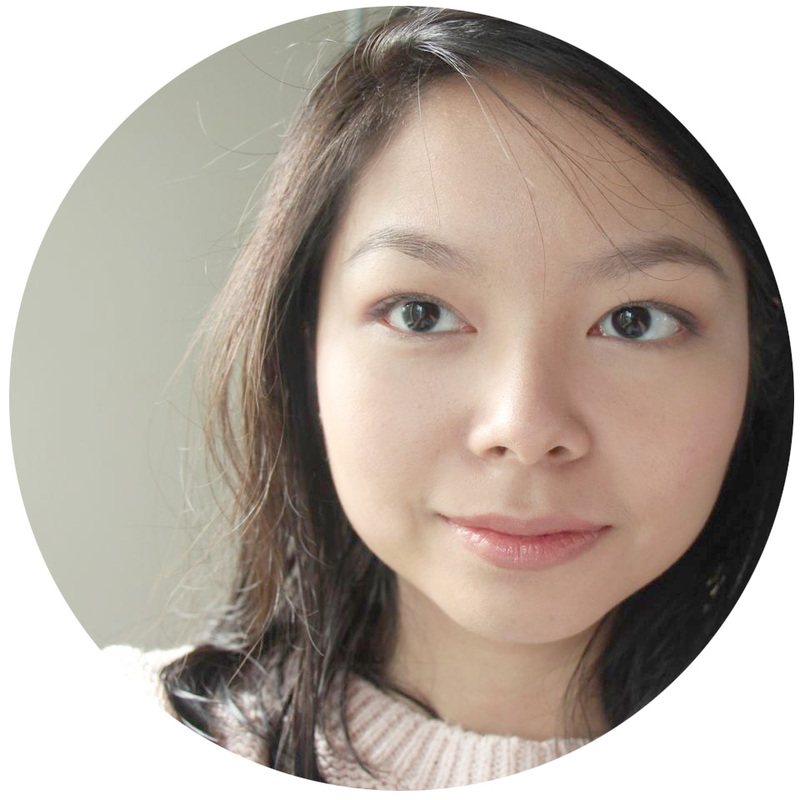 During my grandfather's wake, I did without my usual makeup routine. My eyes would well up every few hours, so it was pretty useless. At the same time, my skin was in a bad state. Dehydrated, red, blemished, you name it. Then add puffy eyes and dark circles from late nights followed by early mornings. 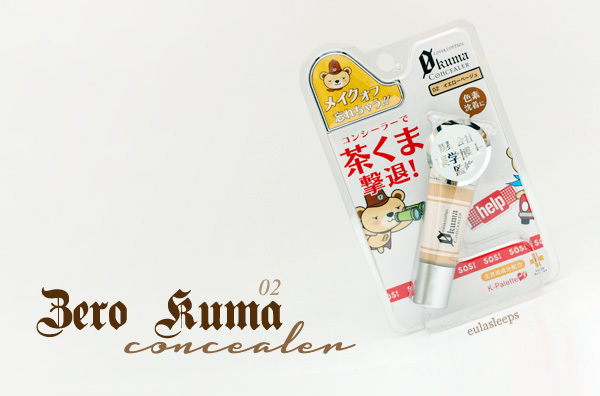 Still, I wanted to look presentable for Grampa :) so I reached for the most subtle but indispensable makeup product: Zero Kuma Concealer by K-Palette. It turned out to be a face-saver. I have it in No. 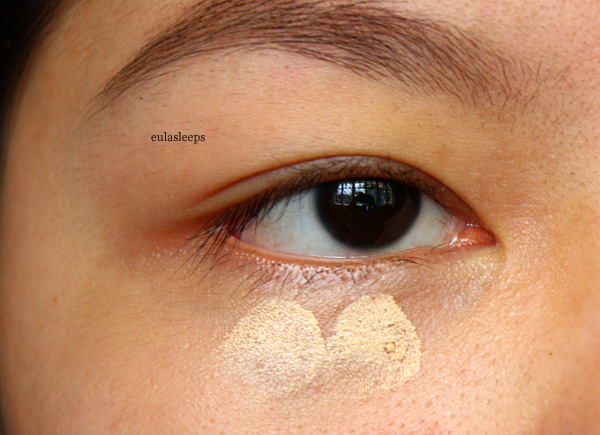 2 (yellow beige), which is primarily a brightening concealer. 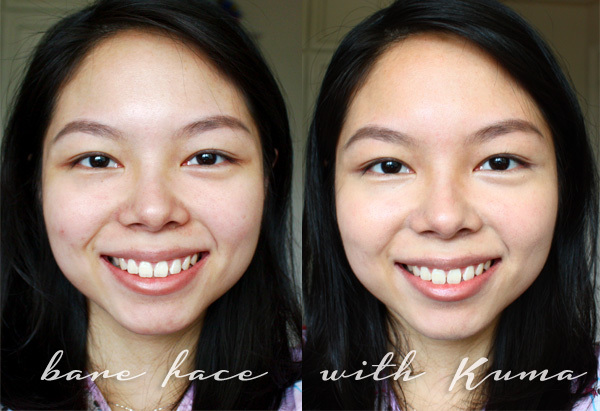 Though these are marketed as undereye concealers, you can use them for the rest of the face. I'm fair to medium-skinned, with really yellow undertones. Not only did Kuma work wonders for my dark circles, but it also covered my red cheeks and spots nicely. This Japanese product was brought in by Beauty Bar. I appreciate them including information in English. 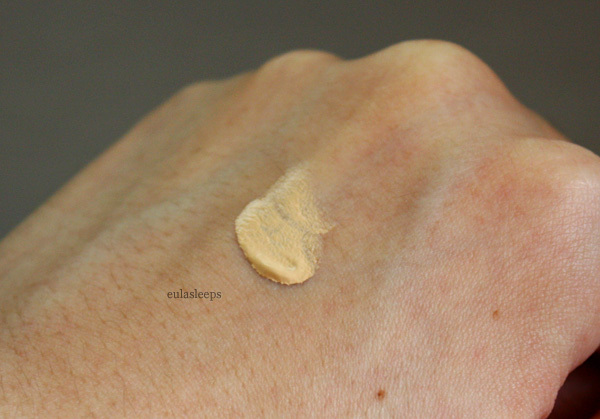 The concealer supposedly doubles as a serum, with Vitamin C, Chamomilla, and prune extract. I know Vitamin C is an anti-oxidant and can be beneficial for the eyes; not sure what the other two can do. The slanted tip makes it difficult to dispense the right amount of product. I usually get too much... A nozzle tip would have been better. I do like that the tube is mostly transparent, so I can see how much product is left. 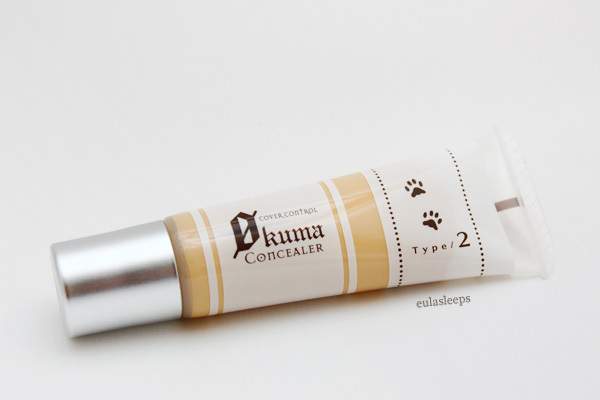 The Zero Kuma Concealer is opaque, with a very thick consistency. To avoid it caking on my dry undereyes, I first apply a light non retinol-containing eye cream (safe for day use). Then I place a little bit of the concealer on the back of my hand and kind of mush it around with my finger to warm it up. Then I dot a tiny tiny amount under my eyes, and build up as needed. This method also prevents it from settling into fine lines. This much is all I need for one eye. Any more and it cakes like nobody's business. Just brow powder and lip balm on, then applied Kuma on my pimples and the pigmented areas on my nose and chin. As an undereye concealer it lasts all day, until the wee hours of the morning. 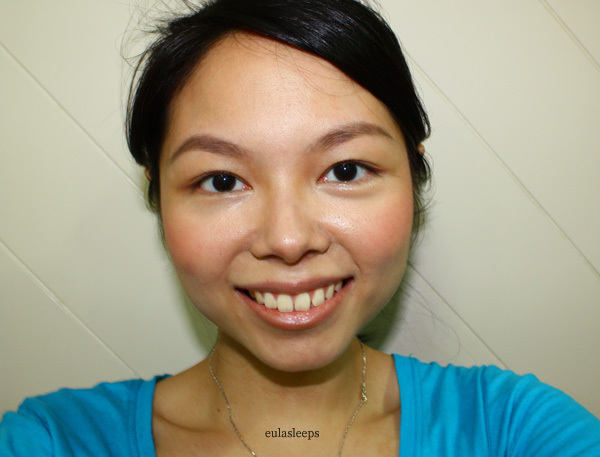 As a spot concealer, I had to retouch once. It dries matte and looks natural when blended well. Here's a more recent photo six hours after application. I think I was using a BB cream over it? Still opaque but natural with flash, and no reverse racoon eyes. This is the concealer I use when I need something heavier duty than the Garnier BB Eye Roll-On. 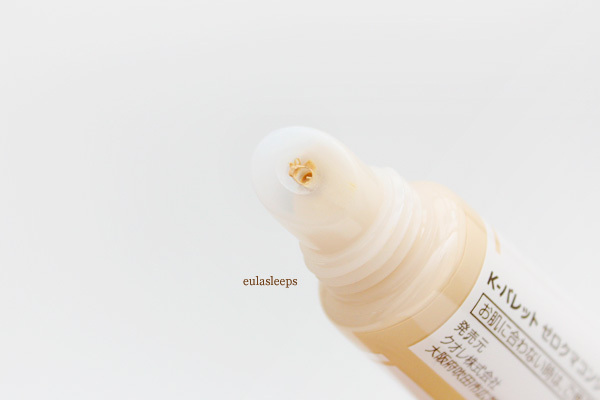 Long-lasting opaque but natural finish. Suitable not just for undereyes, but blemishes as well. Can cake if you have dry skin. Apply eye cream and moisturizer to prevent this. Slanted tube tip dispenses too much product. 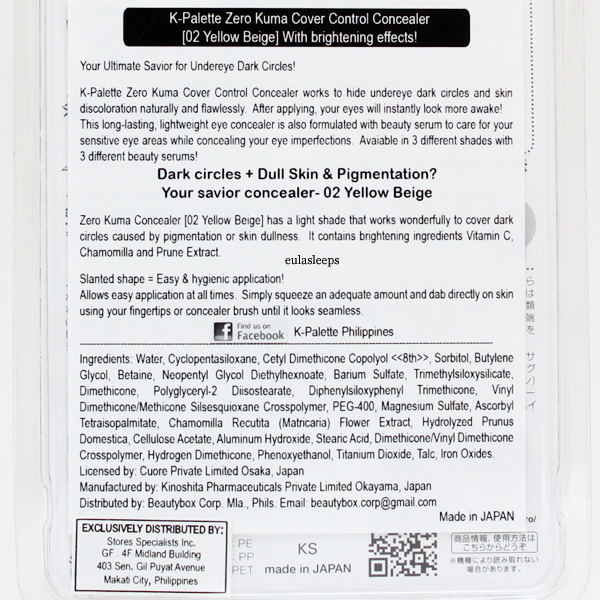 The Zero Kuma Concealer is available in 3 shades at all Beauty Bar boutiques for Php 895 for 13 g.
Here's the rest of the makeup I used during my stay at the funeral parlor. Very basic, but can make a real difference in the way you present yourself. 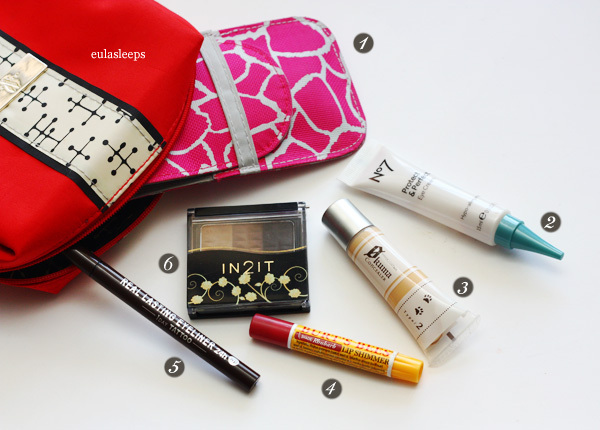 Charm pocket brush set - mainly just the slanted eyeliner brush, brow brush, and lip brush. No7 Protect & Perfect Eye Cream - light eye cream that's perfect for day use. I prefer a heavier, more moisturing eye cream with retinol for night. Burt's Bees Lip Shimmer in Rhubarb - my go-to lip color because it's neutral, not drying, and comes in a tiny handy size. In2It Waterproof Eyebrow Color - to define my sparse but scattered brows. Stays all day. 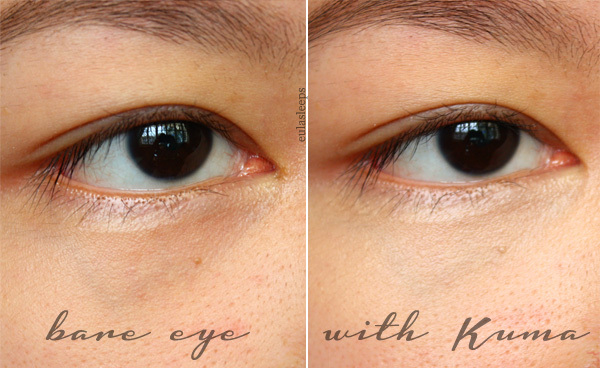 K-Palette 1-day Tattoo Real Lasting Eyeliner 24h in Dark Brown - My favorite eyeliner. I like brown because it's more subtle, great if you want to look younger. Also ideal for beginners; the pen type packaging and fine tip make application easy. Smudge-proof! I estimate 10 hours before it gets flaky. In those days I didn't feel much like prettifying, so I just concealed, lined my eyes, tinted my lips, and I was good to go. No SPF because well, I forgot about it. Heh.